Over the past few weeks we have had a number of customers visit the shop looking for inspiration for their weddings. Some are getting married soon, others have only just got engaged but all are looking for ideas and themes for their big day. If you are looking for something different or are a keen recycler then we might just have some ideas for you. Look out for the next few installments all showing how you can recycle and repurpose Cone Exchange materials as part of your celebrations. 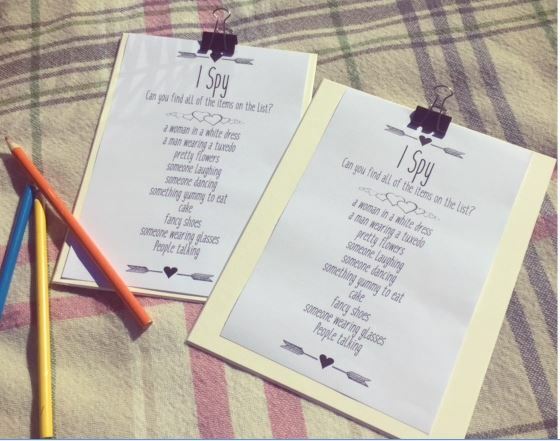 As you may remember from last Summer Anna shared snaps of her wedding planning using recycled materials from the Cone Exchange including beautiful handmade wedding invitations. Here are just a few of the lovely pictures she shared with us of her wedding day. 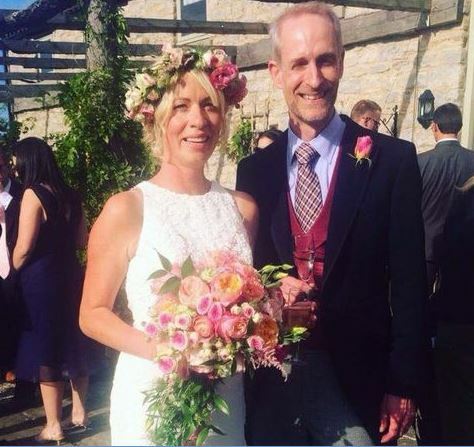 On a sunny September day Anna and Colin were married in a beautiful marquee on the edge of the Yorkshire Moors brought to life with handcrafted touches. Here are just a few of the decorations made with ‘trash’ that has definitley been turned into ‘treasure’! 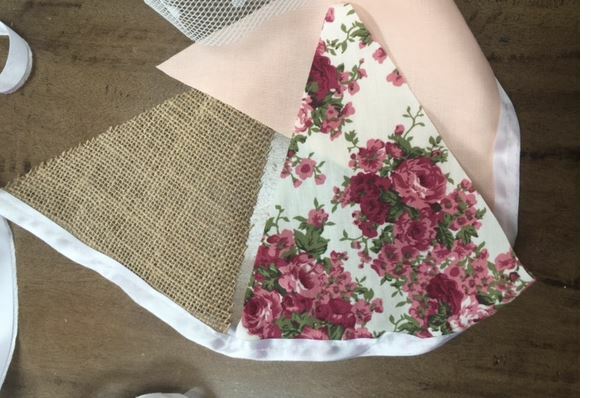 Handcrafted bunting using fabric, hessian from Taylors coffee sacks and selvedge edge ribbon – a by-product from the ribbon industry. 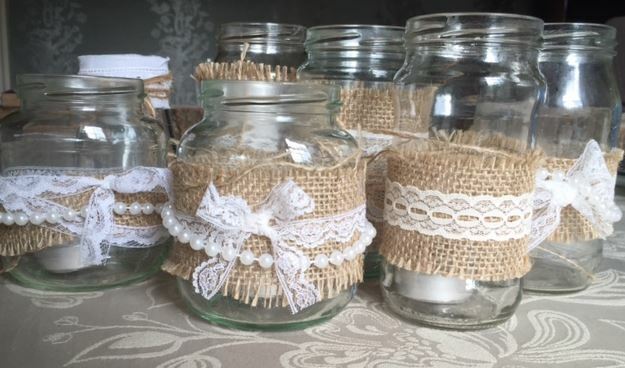 Tea lights and vases for the table decorations using hessian and lace pieces. 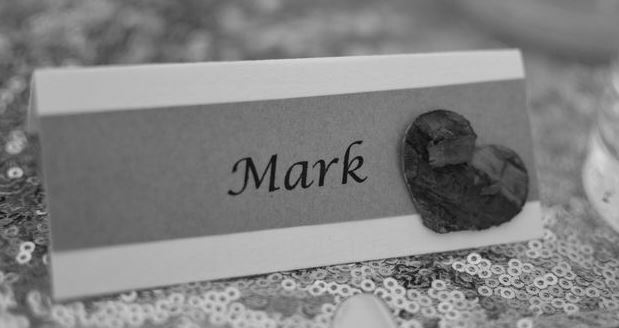 Name cards made from off cuts of mount board and hand embellished. More mount board – this time as clip boards for children’s games, a great idea for a run around in the sunshine! Congratualtions go to the happy couple and a huge thank you for letting us share your pictures.